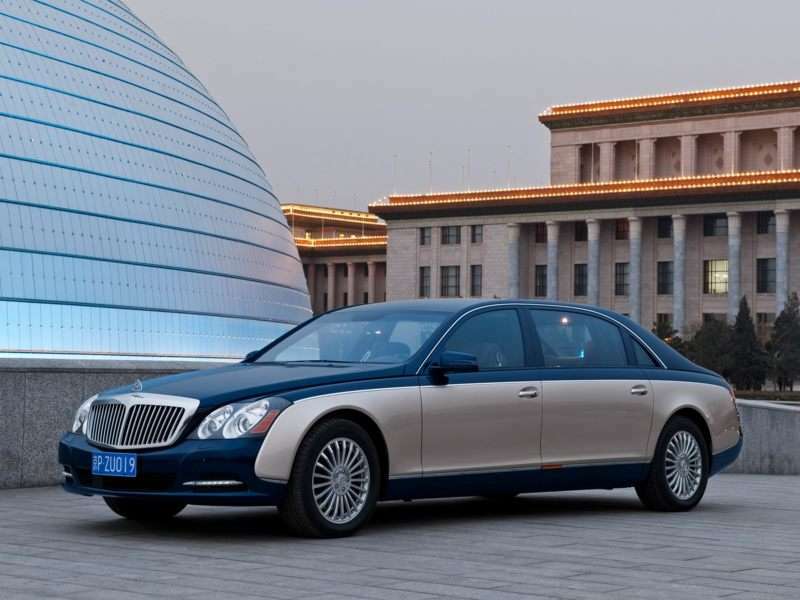 The 2012 Maybach 57 is a 4-door, 4-seat Sedan, available in 2 trims, ranging from the Base to the S. Upon introduction, the $376,300 Base is equipped with a standard 5.5L, 12-cylinder, engine that achieves 10-mpg in the city and 16-mpg on the highway. an Automatic transmission is standard. The $416,200 S is equipped with a standard 6.0L, 12-cylinder, engine that achieves 10-mpg in the city and 16-mpg on the highway. an Automatic transmission is standard. Maybach was a German luxury car manufacturer active from 1909 until early 2013. The brand’s closure was actually announced in late 2011, and the last Maybach was built in December of 2012. Maybach was Daimler AG’s high end marque, intended to compete with Rolls-Royce and Bentley, but Maybach sold just an average of 300 cars a year during its last ten years. Some of these late model Maybachs can be seen in Autobytel’s collection of Maybach pictures. And of course, Autobytel also has plenty of Maybach photos to commemorate the brand’s early days. The company was founded as an aerospace engineering firm, providing powerplants for zeppelins, train cars, and World War I military aircraft. The first Maybach car was built as a concept in 1919, and then introduced as a production vehicle in 1921. The company produced a number of luxury vehicles until the beginning of World War II, when all production capacity was refocused on military supply. Even after the war ended, the Maybach factory wasn’t building cars. Daimler purchased the company in 1960 and used the plant to build high end, limited production Mercedes models. So, in other words, the Maybach images collection might be a bit sparse during those years. In fact, Daimler didn’t produce another vehicle with the Maybach badge until 1997, when it showed a couple of concept cars at the Tokyo Auto Show. Subsequent production models known as the Maybach 57 and the Machbach 62 never achieved sales targets, resulting in the brand’s closure.